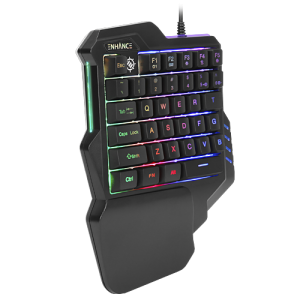 How do I set up my Membrane Gaming Keypad? While your computer is running, insert the USB plug. The drivers will automatically install. After being notified that the driver installation is complete, the keyboard is ready for use. Does your computer recognized the keyboard and does it power on and work? Try plugging the keyboard in to another USB port. Does changing to a different USB port power the Keyboard on? The USB connection cable may not be securely plugged into the active USB port; inspect and unplug then plug in. Does disconnecting the USB cord and then reinserting the cord solve the problem? Try restarting the computer with the keyboard plugged in. Does your computer recognize the keyboard now?